What most people don’t realize is that 6,000 satellites have been launched into Earth’s orbit since the Soviet Union sent Sputnik 1 into space back in 1957. These man-made satellites have served various purposes, such as means of communication, navigation, and exploration. Estimates suggest that around 3,600 so far have remained in orbit, out of which far fewer are still operational. Once these satellites fulfill their purpose and reach life expectancy, they become nothing more than a space debris. It is very easy to spot some of them, orbiting in the skies, including the largest one of all, the International Space Station. However, none of them match the Black Knight, a highly mysterious and much-debated satellite, in the power of storytelling. While some argue the Black Knight has been in orbit for some five decades already, others say it is less time than that–and there are those who argue it was there 13,000 years ago. Its purpose and origin have remained well hidden, although there are claims it has already beamed signals to the Earth. Who gave this object its ominous name adds to the spine-tingling nature of the enigma, and it is uncertain who was the first to discover it, either. Unsurprisingly, conspiracy theorists have come to the table. As they explain it, the Black Knight’s origin is linked to extra-terrestrials. The scientific and academic community dismiss all such talk. So how to explain the buzz surrounding the Black Knight? The root of the story begins with Nikola Tesla, who supposedly had heard sounds from space back in 1899. He deemed the sounds were possibly from intelligent life not on Earth, perhaps inhabitants of Mars. Decades later, in 1968, astronomers confirmed that he indeed heard radio signals, but they came via other natural objects in space. 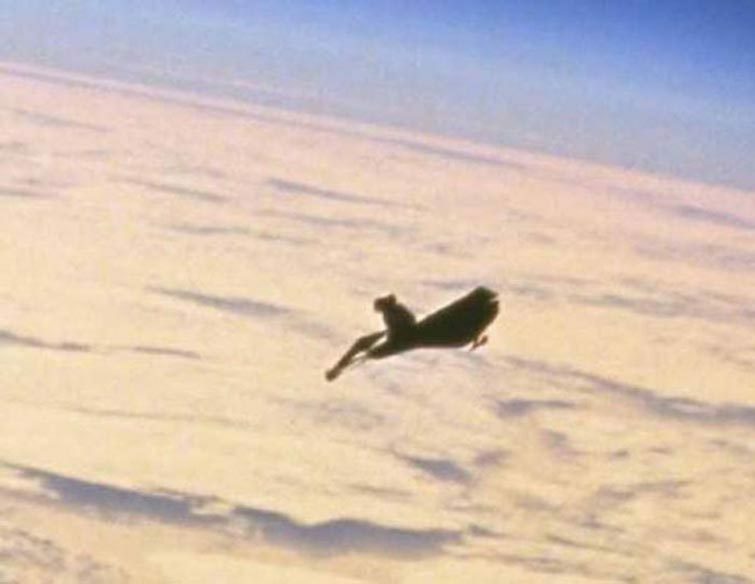 Tesla never claimed he heard signals coming from a satellite orbiting the Earth, but there are those who still believe he was listening to transmissions from an orbiting satellite, one that was none other than the Black Knight. In 1954, some newspapers, including The San Francisco Examiner and the St. Louis Post-Dispatch, published certain opinions, made by Donald Edward Keyhoe, a former Marine Corps naval aviator and famed UFO researcher. Keyhoe continually published stories in various magazines such as Weird Tales, Flying Aces, The Saturday Evening Post and Reader’s Digest. Published in the newspapers was Keyhoe’s belief that extra-terrestrials had visited the Earth. He also wrote a couple of books in which he stated that the U.S. Air Force detected two satellites orbiting the Earth in 1954, when in fact, no such technology existed. On the other hand, the mid-1950s were times when science fiction was moving towards its peak in popularity. Keyhoe’s books were rivalled by those written by H.G. Wells, Arthur C. Clarke, and Issac Asimov. Along with a range of movies and television shows, these stories fueled the public imagination about space travel and possible alien life encounters. Skeptics decided that much of what Keyhoe wrote was to help the promotion of his own books. However, in 1960, during the Cold War, Time Magazine further claimed the U.S. Navy was aware of a satellite that had an unusual orbit. Initially, the magazine claimed it was a Soviet spy, but later it stated concern that a U.S. satellite broke out of orbit. 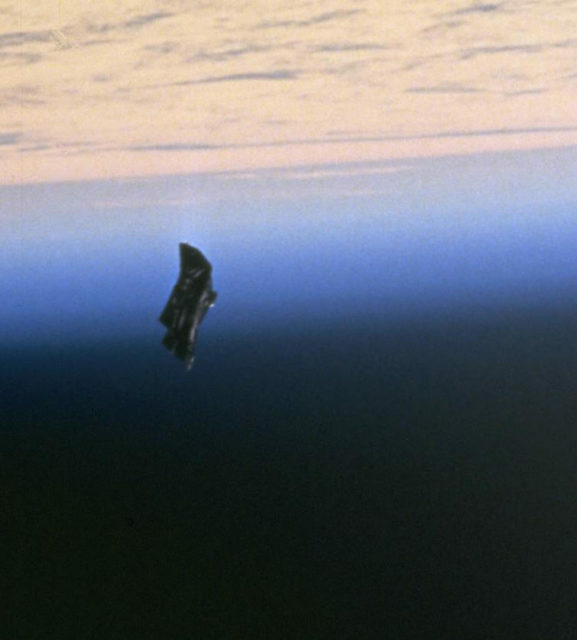 Over the years, reports of the Black Knight satellite have accumulated, but according to many, they are the result of unverified stories, overzealous reporters, and over-interpreted photographs. As NASA astronaut Jerry Ross says, the object and all the speculations about it are simply the results of a mistake. Furthermore, senior education support officer Martina Redpath of the Armagh Planetarium in Norther Ireland doubts that the Black Knight is anything but a “jumble of completely unrelated stories.” Redpath had also claimed that many of the related reports on the matter are “unusual science observation” that have nurtured the myth of the Black Knight. 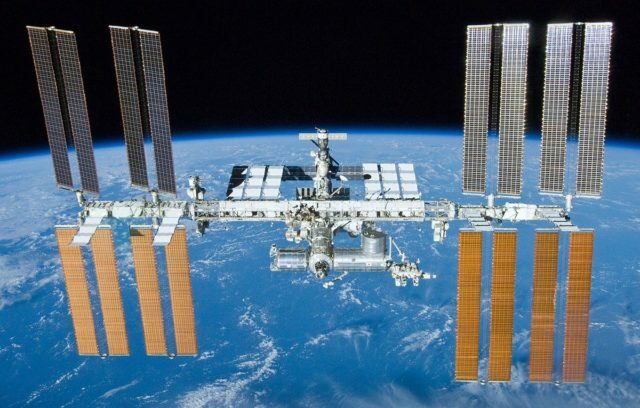 A possible explanation to the mystery can be found in December 1998, when a space shuttle mission was conducted at the International Space Station (ISS). During the mission, which involved spacewalks, Colonel Ross and Dr. James Newman were attempting to install thermal blankets to make adjustments that would reduce heat loss and save energy at the ISS. As the blankets were fastened to Col. Ross’ spacesuit, one of them was lost. Once he had realized it was gone, it was already far away from the astronauts and they were unable to retrieve it. As NASA explains, debris regardless of its size escapes the stations at missions that require a spacewalk. Such was the case in December 1998, when a few more items had ended up as space debris. Usually, the majority of those objects are officially cataloged by the US SSN (Space Surveillance Network) too. The International Space Station on May 23, 2010 as seen from the departing Space Shuttle Atlantis during STS-132. 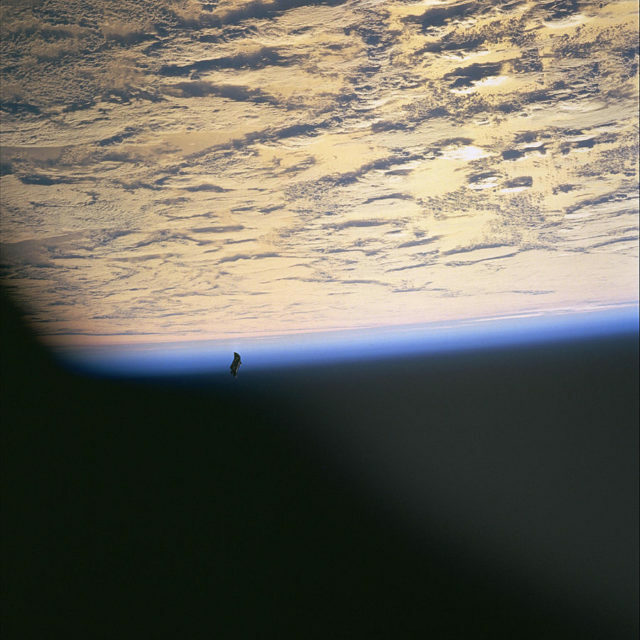 Therefore, the object photographed during the mission in 1998 known as STS-88, widely claimed to be the Black Knight satellite, is, according to the space journalist James Oberg, probably the thermal blanket that has been reported lost during the extravehicular activity conducted by Col. Ross and Dr. Newman. In an interview given in 2014, Col. Ross has also stated that “conspiracy theories are fun for those working on them, but a waste of valuable brain power,” in the context of all the surrounding Black Knight theories. Will these statements put an end to the intrigue of the Black Knight? The answer is: probably not.